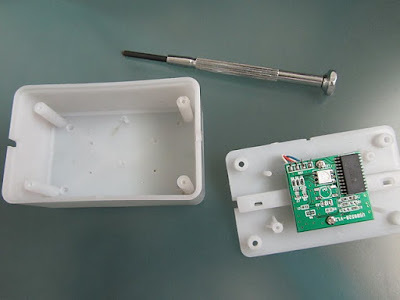 Few posts ago, I told the readers of this very blog about a device I bought from Dealextreme (1, 2) for notifying about incoming E-Mails, and how I patched the program that came with it. 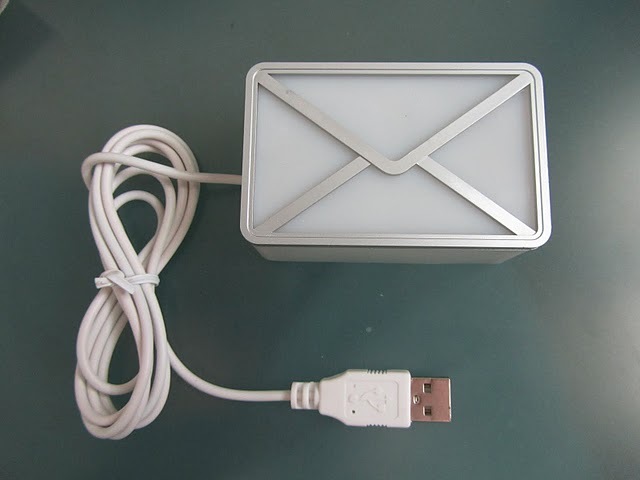 To freshen your memory, the USB device is a envelop shaped box, that can glow in eight different colors. The device is identified by Windows as a regular HID device, which means that no drivers are required for most OSs. The colors are generated by an RGB LED, that probably supports many other color variations (Requires hardware modifications). Since then I’ve made a small open source Python project for controlling this device and making it useful. 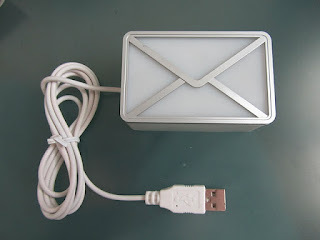 Someone told me he used this device as a good start for his project of smart home gadget. As a public service, I attach here some images of the device from within. It seems like, there is some room on this board to add more LEDs or something, please tell me if you manage to figure out more details about it. 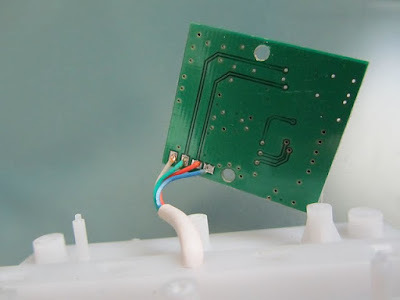 If you want to use this board to connect it to some external device, you can remove the LED (it's the white square at the middle), and weld something else instead. I couldn't figure out what kind of a chip the black one is, and whether it's possible to reprogram it. I would open another device next week, hopefully to answer few of these questions. 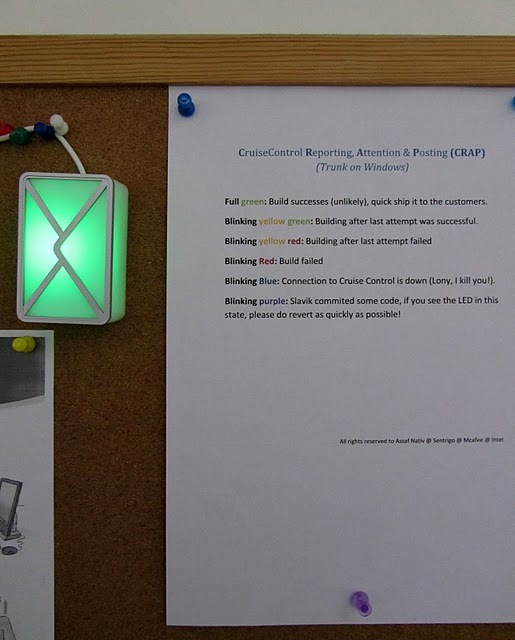 Recently, I’ve made a compiling / building notification system at my workplace, so I would know whom to feed to the sharks, when the build fails. Here’s a picture of the system. I’ve added the source for this system (Everything but the CuriseControl password ;) under the XP-Dev SVN project (CControlLED.py). Please feel free to use it, and share your own projects. Great work! How did you figure out the hardware addresses? (vendorids and registeraddr)? 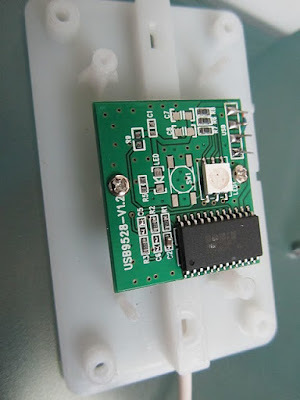 USB-sniffing when using the original software or?